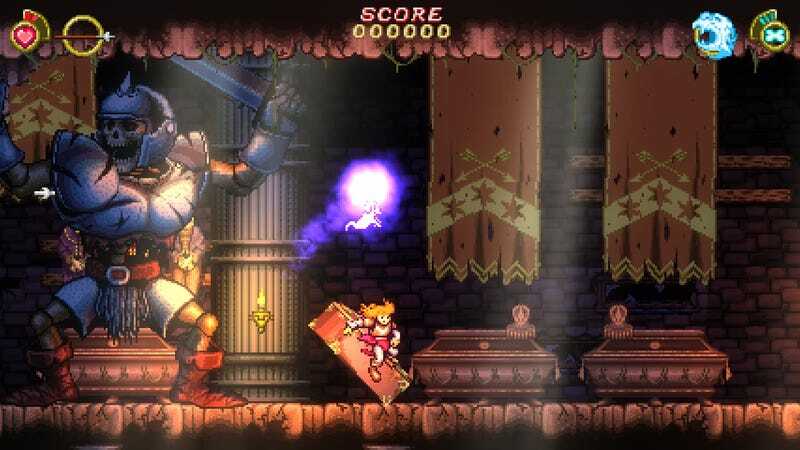 Battle Princess Madelyn is a Ghouls ‘n’ Ghosts-inspired action-platformer whose “honorary assistant creative director” is a 7-year-old girl. Madelyn Obritsch wanted to be in Ghouls ‘n’ Ghosts, so her dad, game designer Christopher Obritsch, decided to grant her wish—and involve her in the creative process. The resulting game, which smashed its Kickstarter goals last year, will be out on December 6.